In the Guts Game, a chocolate bar is given to each player initially. Then the researchers, who dress up like medical doctors, tell the players that they have been infected by a parasite, which is sensitive to its environment’s temperature, i.e. the body temperature of the player as measured by the sensor. If the environment’s temperature reaches a certain value, the parasite will be hurt. The crafty parasite may adapt to the environment so the target temperature might change once reached. The more often the player reaches the target temperature, the bigger possibility he/she will survive. To aid the treatment, the “doctors” developed an application called the Guts Game. 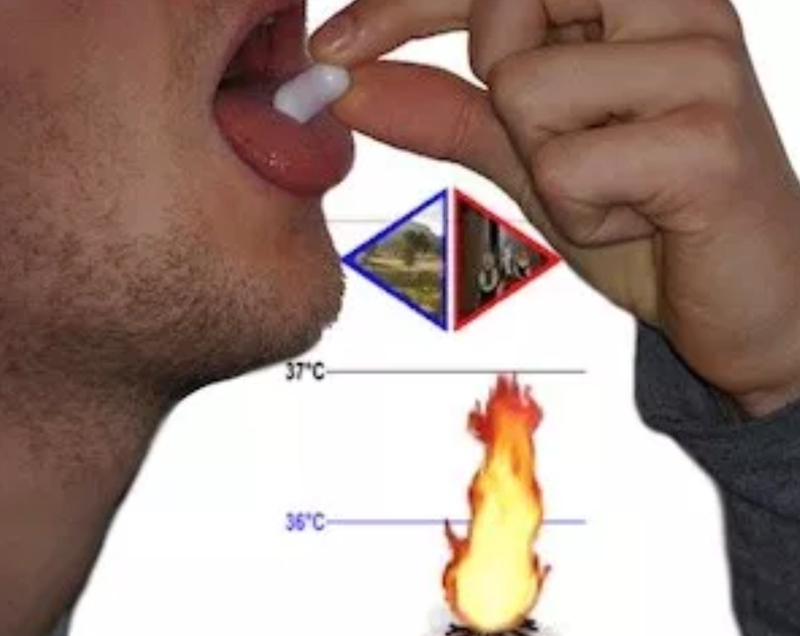 Players need to swallow the sensor to measure their body temperature and the application will guide players. Players need to come back to the “doctors” after the game ends to check if the parasite is still there. The Guts Game ends when one of the players excretes the sensor. W. Hong Yeo, an assistant professor of micro and nano engineering who led the research team, says it would also be possible to stick the sensor directly to the tongue or the roof of the mouth, or to laminate it onto a tooth. The soft retainer they used in this experiment was just phase one. “For the first prototype device, we wanted to offer easy handling and cleaning capability via the integration with a soft retainer,” he said. 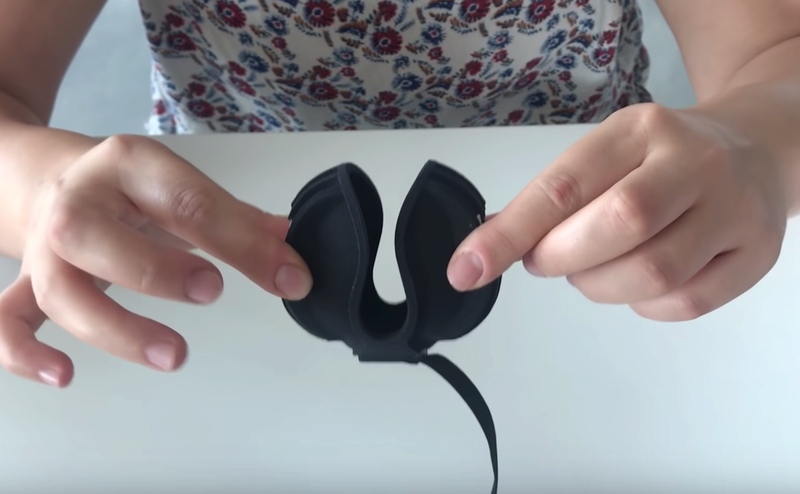 Yeo says the biggest challenge was making the entire electronic device soft, flexible, and comfortable enough to wear in the mouth. 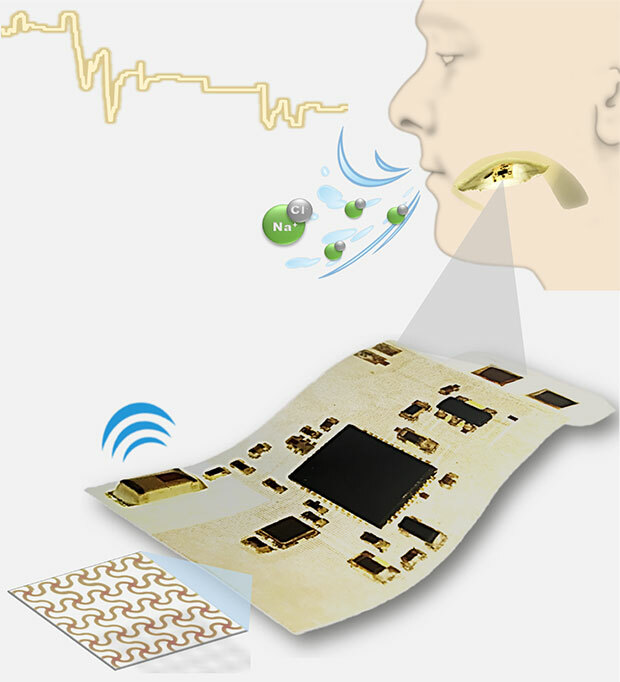 So the team designed a chip that uses stretchable circuits mounted on an ultrathin porous membrane. 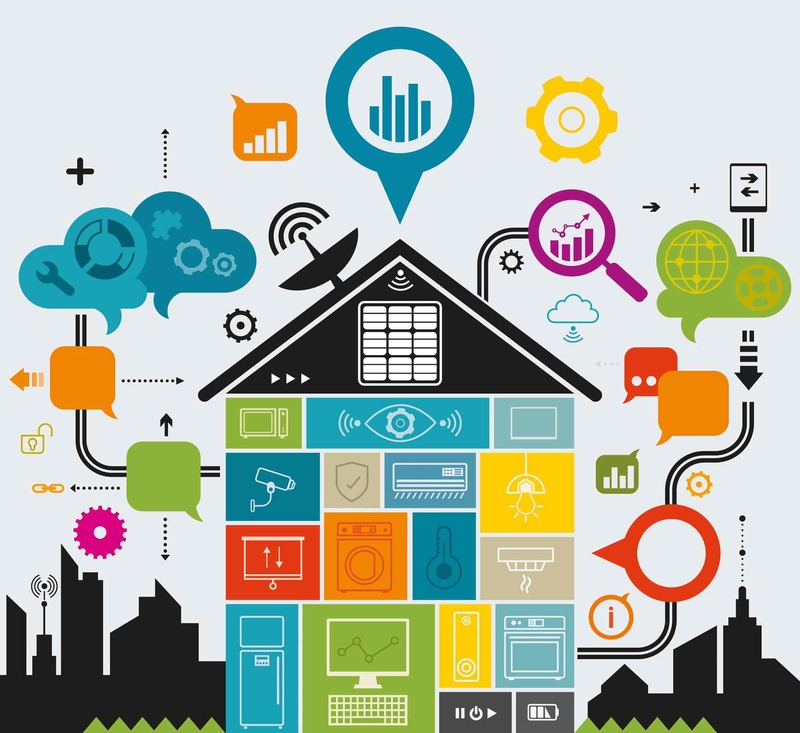 Specifically, we introduce the first computational designs that 1) send data to commercial RF receivers including Wi-Fi, enabling 3D printed wireless sensors and input widgets, and 2) embed data within objects using magnetic fields and decode the data using magnetometers on commodity smartphones. 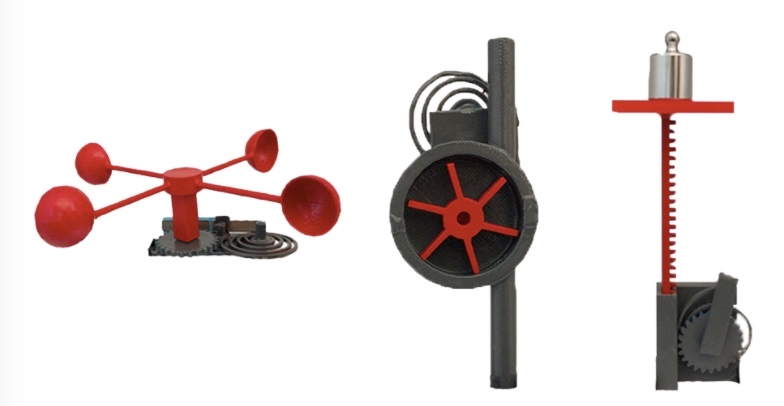 To demonstrate the potential of our techniques, we design the first fully 3D printed wireless sensors including a weight scale, flow sensor and anemometer that can transmit sensor data. Furthermore, we 3D print eyeglass frames, armbands as well as artistic models with embedded magnetic data. Finally, we present various 3D printed application prototypes including buttons, smart sliders and physical knobs that wirelessly control music volume and lights as well as smart bottles that can sense liquid flow and send data to nearby RF devices, without batteries or electronics. 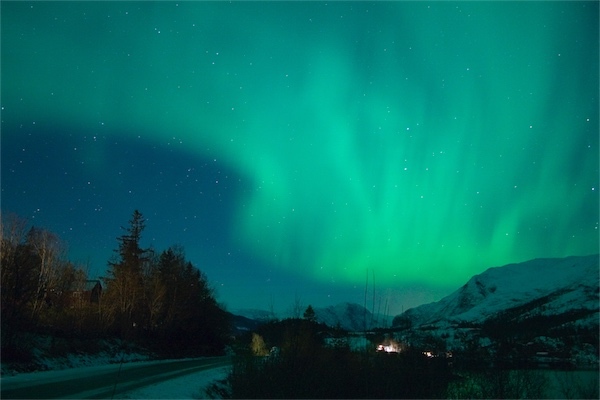 Lancaster University's Aurora Watch issued an alert on Tuesday that the Northern Lights would be clearly visible in the United Kingdom. Unfortunately, the alert was cancelled after the scientists determined that the data from one of their magnetometers was spurious. A surge in geomagnetic energy is indicative of auroras but this particular spike was likely caused by a lawnmower. "We believe the interference was caused by University staff mowing the grass on a sit-on mower," Aurora Watch stated. "We’ll work with the facilities team to try and avoid an incident such as this occuring in the future!" 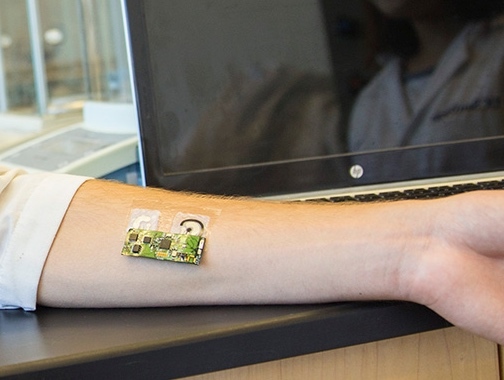 The device consists of a temporary tattoo—which sticks to the skin, induces sweat and electrochemically detects the alcohol level—and a portable flexible electronic circuit board, which is connected to the tattoo by a magnet and can communicate the information to a mobile device via Bluetooth. The device could be integrated with a car’s alcohol ignition interlocks, or friends could use it to check up on each other before handing over the car keys, he added. “When you’re out at a party or at a bar, this sensor could send alerts to your phone to let you know how much you’ve been drinking,” said Jayoung Kim, a materials science and engineering PhD student.